ProtectDefenders.eu, the EU Human Rights Defenders mechanism, is organising the HUMAN RIGHTS DEFENDERS WORLD SUMMIT 2018 – to be held in Paris, October 29-31 2018 at Palais de Chaillot (Espace Niemeyer). The event is organised with a coalition of international NGOs and human rights defenders networks – including Amnesty International, AWID, the International Service for Human Rights, and ProtectDefenders.eu’ board members FIDH, Front Line Defenders, OMCT, and RSF -, with the support of the European Union. On the occasion of the 20th Anniversary of the UN Declaration on Human Rights Defenders, the Human Rights Defenders World Summit 2018 will constitute an opportunity to review the progress made in the defence of human rights and in the protection of all those that defend these rights in all their diversity since the adoption of the Declaration. By creating a unique platform for the human rights defenders’ voices to be heard, this Summit will also call for the international community to reinforce its commitments to protect human rights defenders, celebrate the essential work HRDs carry out in the most difficult environments, and raise awareness about the threats, obstacles and restrictions HRD are constantly confronted with. The Summit intends to shape the upcoming human rights defenders’ agenda, showing the way forward to the international community engaged in the protection of human rights defenders and the promotion of a safer and more enabling environment. To learn more about the Human Rights Defenders World Summit 2018, and meet the HRDs who are confirming their participation, check for updates at the Summit’s website. The Human Rights Defenders World Summit 2018 will bring together a diverse group of over 150 HRDs, from around the world, for three days of meetings, panel discussions, networking and workshopping. These HRDS who are at the forefront of the struggles for social, political and environmental changes will have the opportunity to connect, work and debate together and engage with regional and international human rights organisations, global leaders from governments, the United Nations, and the private sector. In addition to a focus on those HRDs who are most vulnerable and at risk, the Summit will be a unique space to convene marginalised groups, including ethnic and religious minorities, diverse gender identity activists, indigenous peoples and other defenders who are geographically remote from centres of power, media and international attention. For achieving this goal, the World Summit is launching an open call for human rights defenders to present their candidacies. The aim of this call is to reach out to the most isolated and less connected defenders, traditionally underrepresented, members of less visible categories and groups or profiles of special concern. This call is, thus, very important to ensure and reinforce the representativeness, inclusiveness and diversity of the Summit’s participants. This call will be open until 1st September, and is available in the HRD World Summit website, in English, French, Spanish, Arabic, and Russian. Please, share it widely within your network! MAIN RESPONSIBILITIES: Draft reports, press releases, open letters, briefing notes, op-eds and ensure that they are approved by board members and local partners. Organize fact-finding, judicial observation missions, seminars, and trainings. Organize advocacy activities within IGO and visits of human rights defenders to and from the region. Participate in fact-finding missions in the field and activities within IGO and represent occasionally FIDH in meetings with government representatives, media, and donors. Participate in meetings with local, regional, and international partners. Liaise and coordinate with other regional and thematic desks at the FIDH International Secretariat, as well as the press, web, and communication department. Liaise and coordinate with FIDH’s delegations in Geneva, Brussels, New York, and The Hague. Liaise with FIDH member and partner organizations for West and South Asia, with FIDH Board Members in charge of the region or in charge of thematic issues, as well as with other relevant organizations at national, regional and international levels to ensure synergy and complementarity. Contribute to the elaboration of the annual work plan for West and South Asia and propose changes when needed. Contribute to the formulation of funding applications for activities related to West and South Asia. Contribute to monitor, assess and report on activities carried out. Carry out administrative tasks as needed (hiring and training of interns, hiring and management of consultants, maintaining a database of contacts, printing & dissemination of materials, etc). Minimum of 3 years work experience in the field of human rights (preferably for a national, regional and/or international NGO). In-depth understanding of the human rights, political, social, and economic context in West and South Asia. Familiarity with UN human rights standards and mechanisms. A university degree in a relevant field, such as political science, international relations, or human rights law. Excellent writing skills and attention to details. Fluency in oral and written English; basic knowledge of French desirable. Ability to work as part of a team and independently, be rigorous, able to prioritize, and work under pressure and multiple deadlines. Gross monthly income: From EUR 2,500 per month (over 13 months), depending on experience. Possibility of recruitment at a different level based on a different job profile. Oliver Wheaton in Metro.co.uk of 15 January 2015 writes that “the number of terrorists who are actually Muslim or religiously motivated will surprise you”. This surprised me and perhaps also many of my readers who – like me – followed the impact of the terrorist attacks in Paris last week. via: The number of terrorists who are actually Muslim or religiously motivated will surprise you | Metro News. On November 12 and 13, 2014, the UN Special Rapporteur on Human Rights Defenders, Michel Forst, met with representatives of regional human rights defenders’ mechanisms, in the framework of the first part of the fifth “inter-mechanisms” meeting. Enhancing coöperation between the UN mechanism and its regional counterparts was defined as a priority by the UN Special Rapporteur in his first report to the UN General Assembly in October 2014. The “inter-mechanisms meeting 5.1” gathered representatives from the UN, the International Organisation of “La Francophonie” (OIF), the African Commission on Human and Peoples Rights, the Inter-American Commission on Human Rights, the Office of the Commissioner for Human Rights of the Council of Europe, the OSCE/ODIHR, the European Union, as well as international NGOs. It was hosted by theOIF headquarters in Paris, and was facilitated by the Observatory for the Protection of Human Rights Defenders (FIDH-OMCT joint programme).Participants reflected on ways to enhance cooperation, if not articulation, in processing submissions and public statements about human rights defenders’ violations, and in enhancing the follow-up of individual communications and recommendations from country visits. They further discussed best practices and strategies to tackle the issue of arbitrary detention, particularly on emblematic cases. The meeting also allowed for an exchange on the definition of reprisals and impunity, how they relate to each other, and how tackling impunity through accountability would ultimately mitigate the root-cause of reprisals. Finally, participants had a discussion on the issue of NGO funding, including foreign funding, as well as on the protection of land rights defenders, echoing the topics of the 2013 and 2014 Annual Reports of the Observatory. This meeting aimed to prepare an “inter-mechanisms meeting 5.2”, gathering mandate-holders themselves, which the Observatory will organise during the first quarter of 2015 at the OIF headquarters. Last but not least, FIDH and OMCT were invited by the Office of the Commissioner for Human Rights of the Council of Europe to hold the sixth meeting in Strasbourg, and a future meeting in Warsaw, by ODIHR. 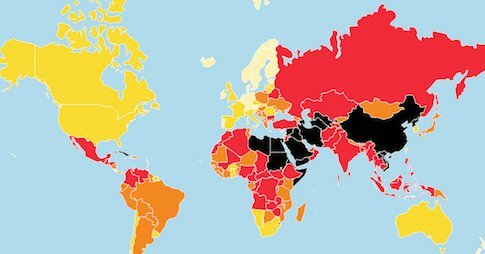 “Inter-mechanisms 5.1”: enhanced cooperation will lead to better protection of human rights defenders – FIDH. It is with great pleasure that I am able to announce that a great human rights defender from France, Louis Joinet, is honored with a colloque on the topic “Is sovereignty still the basis of international law?”. It coincides with the publication of his book: “Mes raisons d’Etat” [‘My reasons of state’ or better ‘How I saw the national interest]. Had he been fluent in English (he picked it up too late in life) he would have been probably one of the most famous human rights experts in the world. His nicknames range from “Louis le Juste” to “the Obstinate”. He played a major role within the French state apparatus as from the 1960s. One of the founders of the ‘Syndicat de la magistrature‘ in 1968 (sometimes called the ‘red judges’), he became the first director of the National Commission on Informatics and Freedoms [Commission nationale de l’informatique et des libertés]. He served five different Prime Ministers during the 1980s as advisor. It was during those days that I met him regularly to set up and run a number of Committees dealing with the military regimes in the Southern Cone of Latin America (e.g. SIJAU, SIJADEP). We travelled often to the region and on many occasions I saw returned refugees come up to Louis to embrace and thank him for the support he gave them in exile. In the meantime during 33 years he was an expert in various UN bodies, travelling all over the world. Most pronounced was his leading role in the Sub-commission for Human Rights and the Protection of Minorities (now renamed and relegated to a research role for the new Council), where he spearheaded a great many and daring innovations, concerning many issue including disappearances, torture, international crimes and amnesty. His popularity with (certain) States suffered, but most NGOs considered him to be a hero. Together with his late and much-beloved wife Germaine he had a less-known but rewarding social life that includes assisting young street criminals and a passion for circus and street theater. 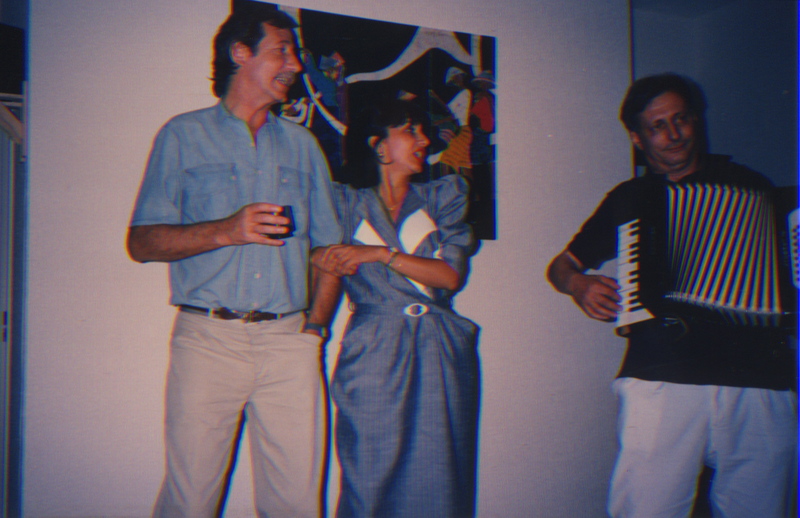 His musical talent is illustrated in the picture below from my private collection, where he is seen playing the accordion with Argentinian Leandro Despouy watching (August 1988). The colloque in Louis honor is taking place on 27 Mars 2014, 18h30, at Université Panthéon-‐Assas, Centre Panthéon, Salle des Conseils, in the series of lectures under Professor Olivier de Frouville.